Greatly revised and expanded, the new edition of this highly respected guide is the must-have reference for birds in the New Zealand region – including Norfolk and Macquarie Islands, and the Ross Dependency, Antarctica. 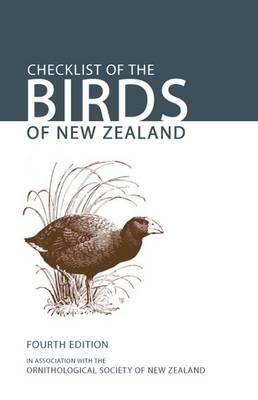 Checklist of the Birds of New Zealand provides details of the nomenclature, taxonomy, classification, status, and distribution (current, historical, and fossil) of every known living and extinct species of New Zealand bird. For the first time, it also includes complete synonymies. More than fifty birds have been added to the new edition, along with thorough bibliographic references, updated maps, a list of Māori bird names, and a full index. Visit Te Papa Press for more information. See the full catalogue for Te Papa Press natural history books, and information on how to purchase. Author: Geoff Norman. Published 2012. Buller’s Birds of New Zealand includes the complete set of 95 artworks from both editions of A History of the Birds of New Zealand by Walter Buller and the subsequent supplement, specially photographed and reproduced at original size and in full colour using high quality modern printing techniques. Each bird painting is accompanied by a selection of Buller’s original, descriptive text as well as up-to-date taxonomic information in English and te reo Māori. Author: Alan Tennyson; artist: Paul Martinson. Published 2006, revised 2007. In New Zealand’s lush rainforests, isolated from the outside world for 80 million years, many extraordinary birds evolved. They included the giant moa, the beautiful huia, and the largest eagle the earth has ever seen. Within a few hundred years, human settlement extinguished 58 species – over a quarter of the species. Author: Sandy Bartle; artist: Derek Onley. Published 2001. This book was written to help scientific observers identify those seabirds likely to be caught in the Southern Ocean, and takes into account the requirements of the CCAMLR Scheme of International Scientific Observation. It covers the identification of 36 species of birds from the Southern Ocean that have been caught in fishing gear or have been seen feeding from fishing boats.